Save up to 50 percent in the holiday deal. Select Logitech peripherals are on sale over at Amazon with prices marked down by as much as 50 percent in some instances. 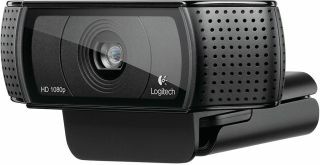 That includes the Logitech HD Pro Webcam C920, our top pick in webcams. If you'd like to get into streaming in Twitch, this is a perfect choice. Amazon has the C920 priced at $50. That's the cheapest we could find it selling for online—Best Buy has it on sale for $60, and Newegg has it for $75. The C920 offers Full HD 1080p video recording with a large field of view and excellent image quality. We also found that the C920 works really well in low light. It's auto-focus and image adjustments are better than the competition, too. There is a newer model available, the recently released C922 with background image replacement. It's on sale on Amazon as well, though the discount isn't quite as steep—it sells for $85, down from $100. Some of the other Logitech peripherals on sale at Amazon include the M510 wireless mouse for $14.24), TK820 all-in-one keyboard for $45, and one of the rare trackball mice still for sale, the wireless M570, for $20.